ASUS today announced its latest budget offering, Zenfone C – ZC451CG with India as one of the first wave countries for the launch. 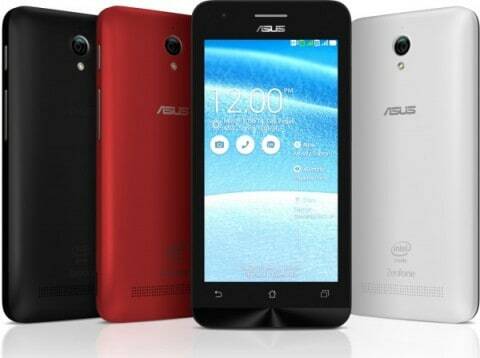 The device is built on the Android 4.4 KitKat operating system with ASUS Exclusive Zen UI, as seen in previous smartphones of Zenfone series. It features a 4.5” display, a 5MP camera with PixelMaster technology and is backed by 2100mAh removable battery unit. The 3G phone is endowed with dual sim-dual standby and under the hood is a 1.2GHz Intel CloverTrail processor to perform all the processing tasks. The phone will be available in three different colours- red, white and black. The Zenfone C – ZC451CG comes at a price of Rs. 5,999/- and will be available on Flipkart 11th feb’15 onwards and ASUS Exclusive Stores February 18, 2015 onwards.